The Frome Independent ~ “Somerset Sisters” raise hundreds of pounds for vulnerable young people. We are delighted by sales of their “Somerset Sister” T-shirts, which have now generated hundreds of pounds to support vulnerable young people across the town. The t-shirts, which are designed and produced in Frome, are being sold to raise funds for Frome Re:Fresh, a local grassroots organisation that provides sanitary products and toiletries for students who face complex circumstances that mean they are not fully supported in areas of personal hygiene and self care. We released the t-shirts in late November 2018, with 20% of all sales going directly to Frome Re:fresh, so that they can supply hygiene products that are distributed for free to young people who need them across schools in Frome. The t-shirts themselves proved very popular over Christmas, with a groundswell of support from local people on social media. T-shirts had sold out completely by the end of January, raising over £300 for Frome Re:Fresh – hooray! Frome Re:Fresh do important work for our town, which we hope the Somerset Sisters T-shirt campaign goes some way to highlighting. We are looking forward to continuing our partnership with them into 2019 so that we can raise as much money – and awareness – as possible for the work that they do. 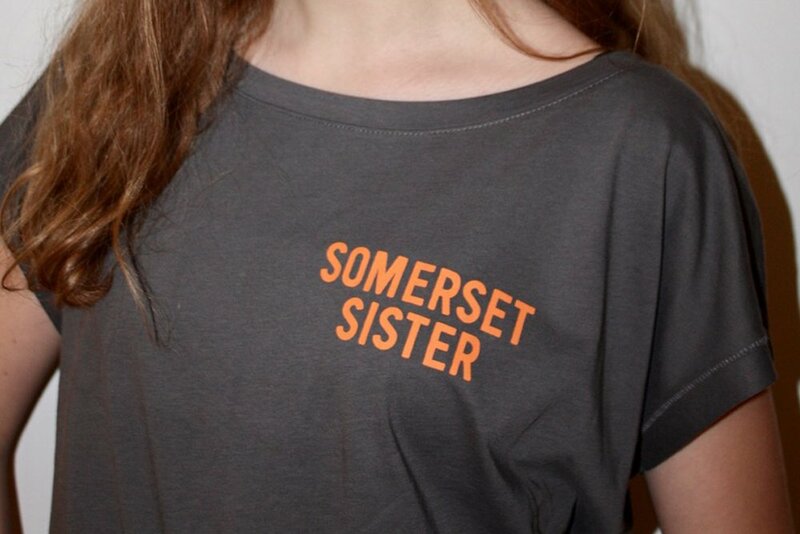 Didn’t get hold of a “Somerset Sisters” T-shirt first time round? Good news! We’ll have a whole load of new ones ready for our first market of 2019 on Sunday 7th April. Until then they will be available from POP! On Cheap Street and Sisters’ Guild on Catherine Hill.